Are you struggling to get traction on Pinterest? Here are some Pinterest tips for writers that will help you find and connect with your audience. After blogging for almost ten years, I decided to do something a little scary. I deleted over 400 posts from my blog. It wasn’t an easy decision, but it was a necessary one if I was going to grow. I started off writing about many topics: homeschooling, parenting, time management, single motherhood, special needs parenting, faith, and essential oils. After a decade of writing on a broad spectrum of topics, I knew in my heart that I needed to choose my niche and narrow my focus to reflect that. But I was worried about losing my traffic and audience. Obviously, I survived deleting over 90% of my posts. In fact, my blog has thrived my and audience has grown faster in the last three years than in the ten years before combined! How? Pinterest helped me not only maintain my traffic when I narrowed my focus, it also helped me to connect with a new audience. As writers, it’s important to make sure that our message reaches the right people. It’s a struggle I hear from all of my writing friends. We feel this burden to share our hearts, but we struggle to find our people. 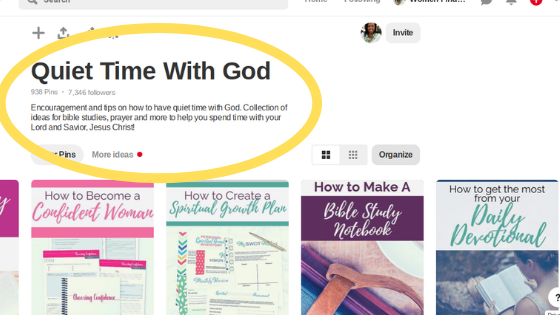 Pinterest is a great place to find your audience. But some many people struggle to see positive results on that platform. Today I want to share a secret with you about Pinterest that will help you finally find your audience! If you are going to find success on Pinterest, you have to understand how the platform works. Pinterest is not a social media platform. It’s a search engine! If you approach Pinterest in the same way that you do Facebook, Twitter, or Instagram you’ll be frustrated. Pinterest is not about social interaction or finding community. People don’t turn to Pinterest to start or have conversations. They are looking for solutions and answers to questions. When you think Pinterest, think Google, but with images. 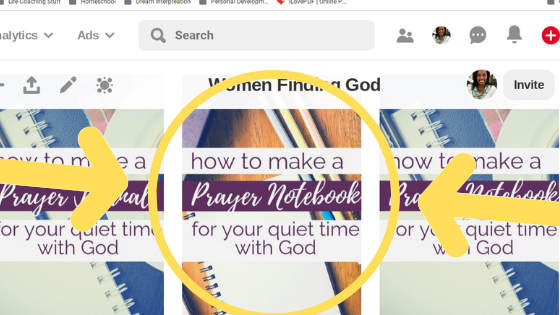 On Pinterest, you enter what you are searching for, and the platform gives you a bunch of different images to click on. This is important to keep in mind when you are creating content for Pinterest. Understanding that Pinterest is a search engine means that keywords are important. They are the “secret sauce” to getting your content in front of the right people so that you can connect with and grow your audience. 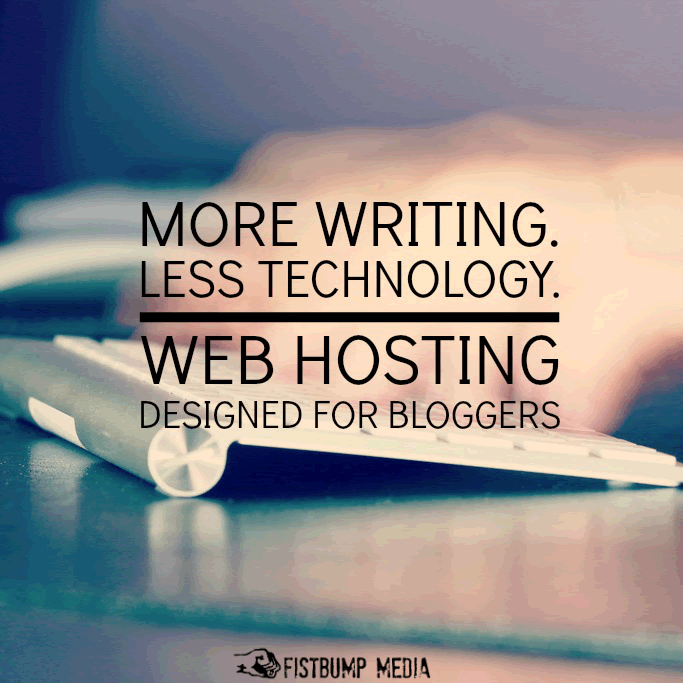 First, make a list of all the topics that you write about (or want to write about). 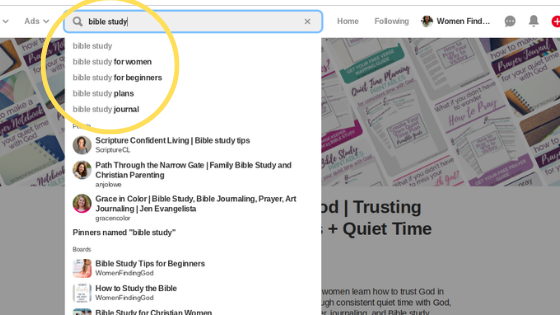 I’m in the faith niche, so I have keywords like prayer, Bible study, prayer journaling, trusting God, and quiet time with God. Second, plug each of these keywords into the Pinterest search bar and see what comes up. Don’t hit enter, just type in the words. Add these suggestions to your list of possible keywords. Third, hit enter and take a look at the words in the colored boxes. These are more keywords for you! I like to keep all my keywords in a spreadsheet so that I can access them quickly. Now that you have a list of awesome keywords, I’m going to show you where to use them to get the most traction on Pinterest. Keywords are how your audience will find you. Someone will type a keyword into the search bar, and Pinterest shows them what’s available on the platform. When you add your keywords to key places, your pins will show up in those searches. The more you show up in searches, the more opportunities you have for someone to click over to your blog and learn more about your heart and your message. 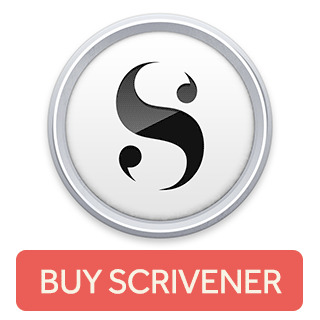 It’s also a good way to promote your writing projects and other products, too! You can add keywords to your profile name and to the short description for your profile. I would choose the most popular keywords or the ones that represent your message the most. I have two keywords in my name: Trusting God in Hard Times and Quiet Time with God. 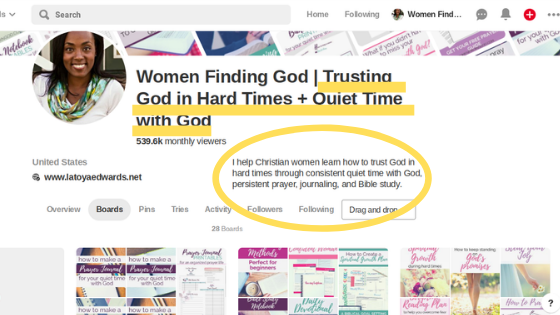 I use those same keywords in my profile description plus a few more: Christian women, prayer, journaling, and Bible study. Use your keywords to name your Pinterest boards. And you don’t have to stick to just one board per keyword. Use them all. 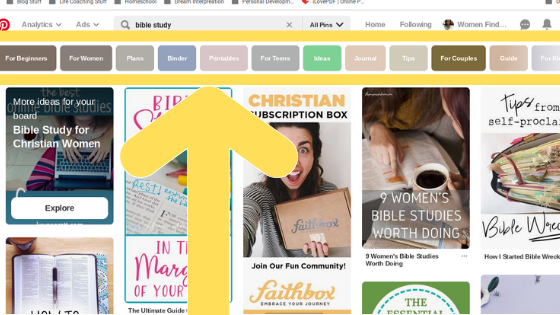 Here are my bible study boards: “Bible study tips for beginners”, “Bible study for Christian Women”, and “How to Study the Bible”. Keywords are important for your board descriptions as well. You want to write in a conversational way of course (don’t just string a bunch of keywords together). Your pins are the key to finding your audience. People are not visiting your profile or your boards. They are finding your pins, and that points them to your writing. There are two places to put keywords for your images: text overlay on the image itself, and in the pin description. 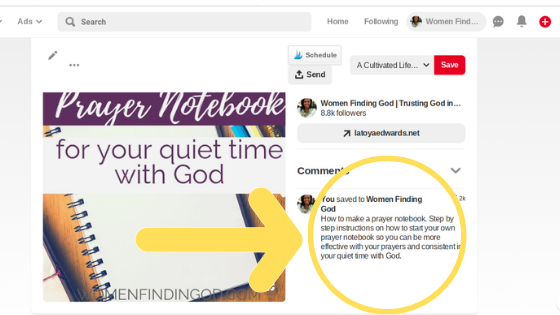 For this pin I have a few keywords on the image: Prayer Notebook, How to Make a Prayer Notebook, and Quiet Time with God. I used the same keywords in the pin description. Using the correct keywords helps Pinterest understand what you are about. That’s how I was able to maintain and grow after deleting most of my content. By using keywords I was able to connect with the right people. 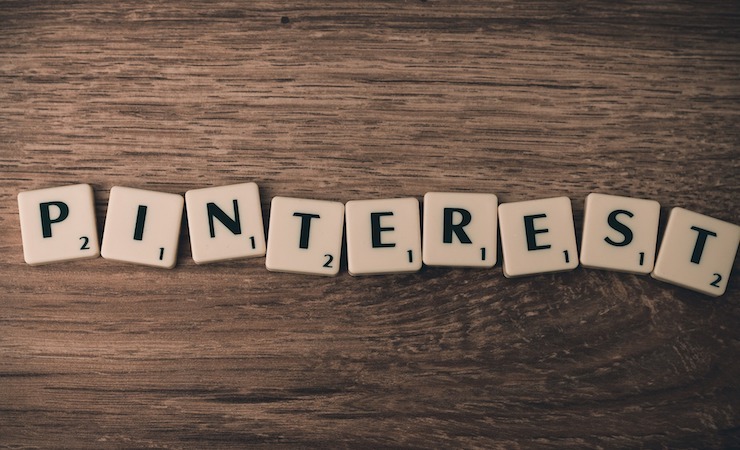 These Pinterest tips for writers will help you find and connect with your audience, too! So helpful! Thanks for sharing. Just wondering: can I change posts to “pending review” or “draft” or must I delete them completely? That is entirely up to you. I knew I didn’t want that old content on my site anymore so there was no need to keep it. Subscribe to get email updates on new content, upcoming community events, and more. 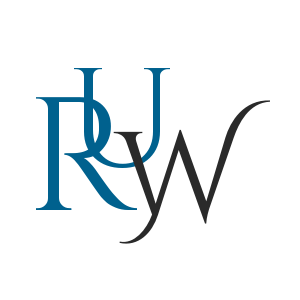 You'll also be able to join the Rise Up Writers Facebook community and gain access to exclusive free content.